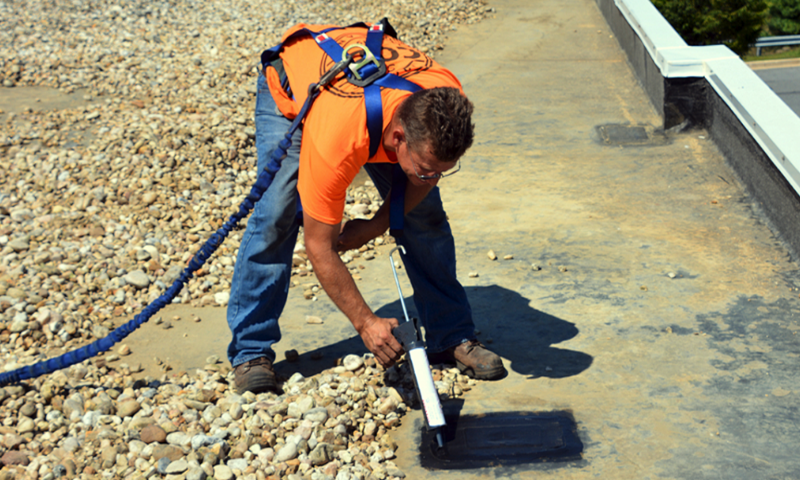 Cole Roofing’s Service Team supports a specialized team of crew members who are ready to quickly respond to unexpected situations and emergency leaks. Our crews are specially trained in a series of specific steps designed to successfully determine the cause of the leak and repair it in a timely and efficient manner. No commercial roof repair is too small or too large. Our crews arrive on the scene in fully equipped trucks, prepared for all situations and will make every effort to keep the workspace clean and operate in a safe, professional manner. Service charges include travel time, on-site labor and materials used.